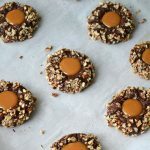 These Turtle Cookies are perfectly soft and chewy and crunchy and chocolatey and nutty and caramel-y all at the same time. Delicious! Welcome to Day 2 of Christmas Cookie Week 2013! Yesterday I brought you Butter Tart Squares with A Shortbread Cookie Crust, and today I bring you Turtle Cookies. Oh yes. I went there. 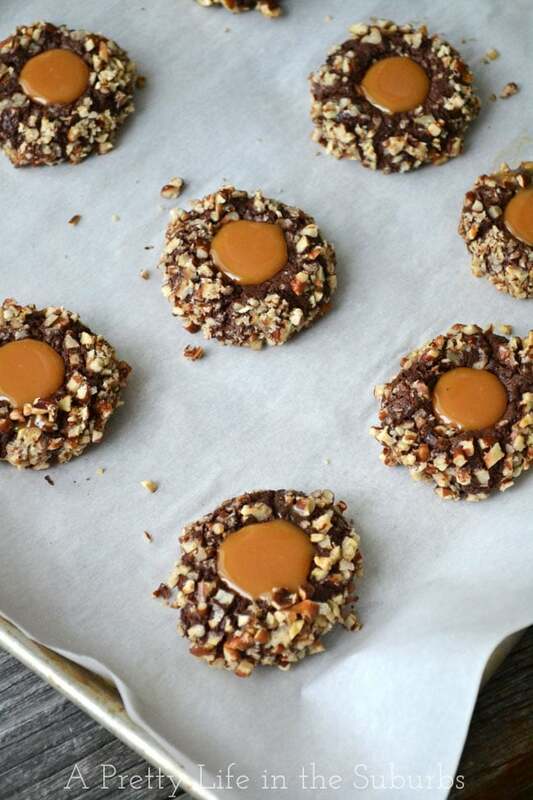 Turtles are the best…and in cookie form…oh my. Hold me back. I can’t even tell you how good these are. You just need to make them to find out. They’re perfectly soft and chewy and crunchy and chocolatey and nutty and caramelly all at the same time. These little delights didn’t make it more than 2 days around these parts. They mysteriously disappeared by the end of the day Saturday…hmmmm…and no one would admit to a thing. Must have been Mr. Nobody at it again. 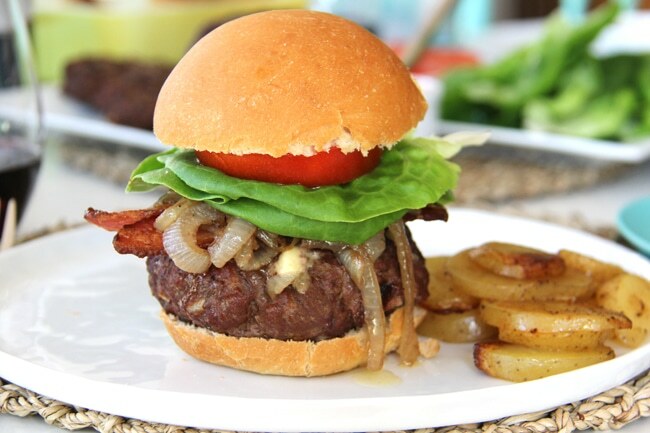 But seriously, just look at them…SO gosh darn delicious. In a bowl whisk together the flour, cocoa, and salt. Set aside. With a mixer beat together the butter and sugar until light and fluffy, about 2 minutes. Then add the egg yolk (see notes), milk, and vanilla and combine. Now it’s time to chill the dough: wrap the dough in plastic wrap and refrigerate until it is firm, about 1 hour. OR put it in the freezer for 30 minutes. Whisk 2 egg whites in bowl until they are frothy. Set aside. In another bowl, place the chopped pecansl. Set aside. 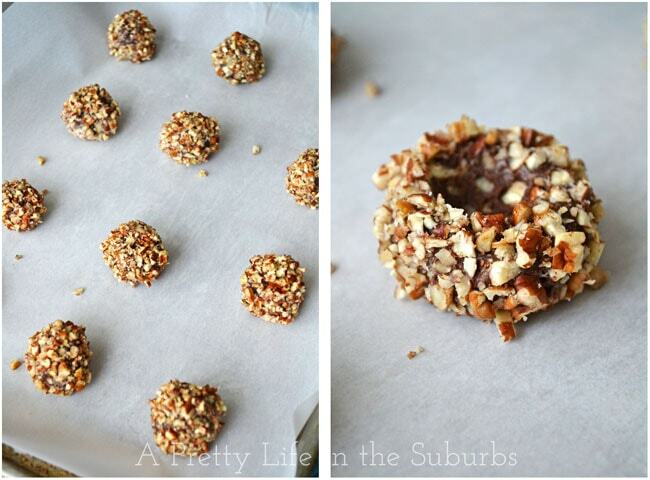 Using your hands, roll the dough into 1 inch balls, then dip them in the egg whites, then roll in the chopped pecans. 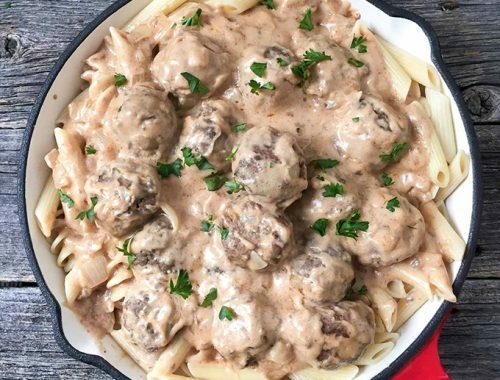 Place the balls 2 inches apart on the baking sheets. Then using a 1/2 tsp measuring spoon, make an indentation in centre of each ball (see above picture). Bake the cookies until set, about 10-12 minutes. 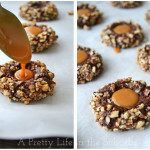 Just as the cookies are done baking, it’s time to make the caramel sauce. Microwave the caramels and cream in a bowl for 1 – 2 minutes, stirring a couple of times during the melting process. 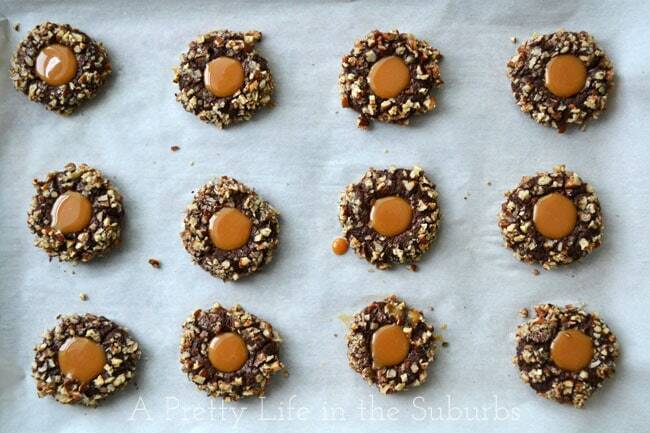 Once cookies are baked, remove them from the oven, and gently repress the existing indentations (they will have bubbled up a bit and you need an indentation for the caramel). 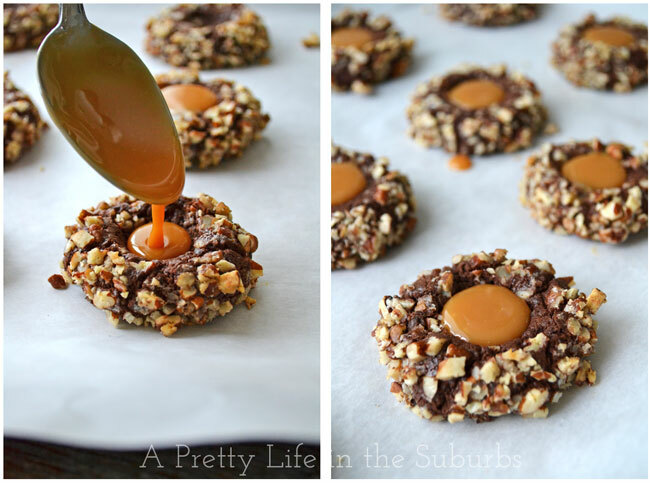 Fill each indentation with 1/2 tsp of the caramel mixture. Cool for about 5 minutes, then transfer the cookies to a wire rack to cool completely. So go ahead! Get your bake on! These are worth the effort, trust me. Okay, I am making them…pinning the post…. really, these are on my list!! Oh I hope you do! Enjoy! 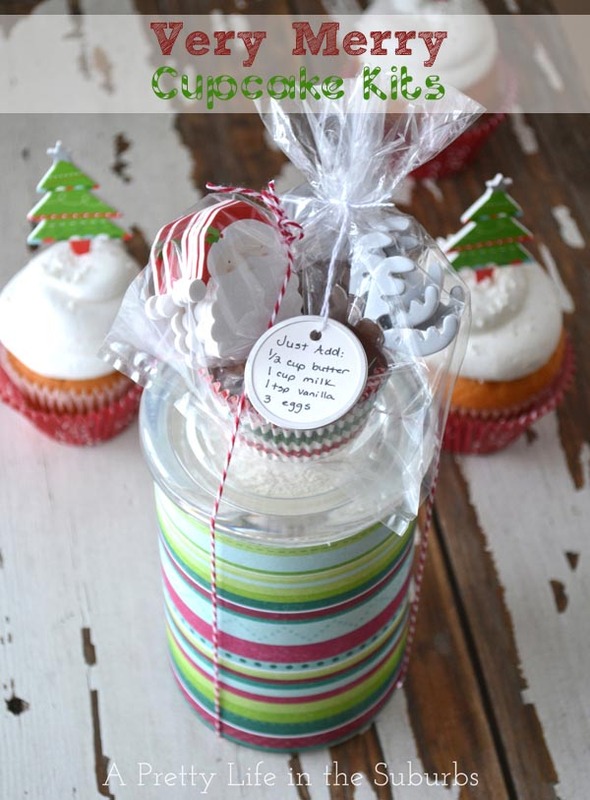 I haven’t quite started my Christmas baking but I am definitely getting lots of ideas…like these!!! Thanks Joann! They were gone soooo fast…time to make more! My oldest daughter loves turtles (her sorority’s mascot is a turtle) so they sometimes serve turtle treats at her sorority house! I’ve pinned this on my Christmas group board that I share with her. These look fantastic! Thank you for sharing these Ricki! Enjoy! Oh my goodness, what are you trying to do to me. These look so good too. Now I know yours didn’t make it past Day 2, but I wonder if they freeze well. It might almost be worth making another batch – in the name of research and all. Sorry for not getting back to you sooner about this…I think they would freeze just fine, but without putting the caramel in. 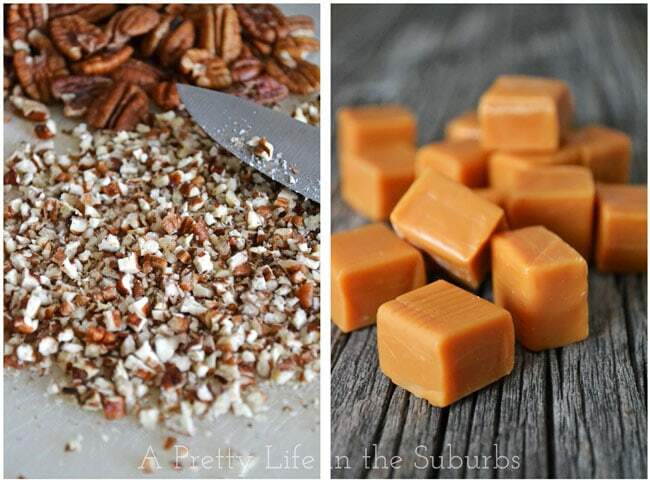 I would add the caramel right after freezing them. I am going to make these tomorrow; I expect they will be gone by tomorrow afternoon. Oh darn, I’ll have to make them again…..and again….and again…. I hope you loved them Elaine! hey! i found your blog through cook’s illustrated’s facebook page today. congrats! and i love your blog! Thank you Suzanne! I’m so happy you found me! I’m curious what’s the yield on this recipe? I need to know if I should double it for a cookie exchange. Depending on how big you make them, you can have 24 or 36. I usually make mine a little smaller so I can get 36 out of a batch. Happy baking! Thanks, very excited about trying these!